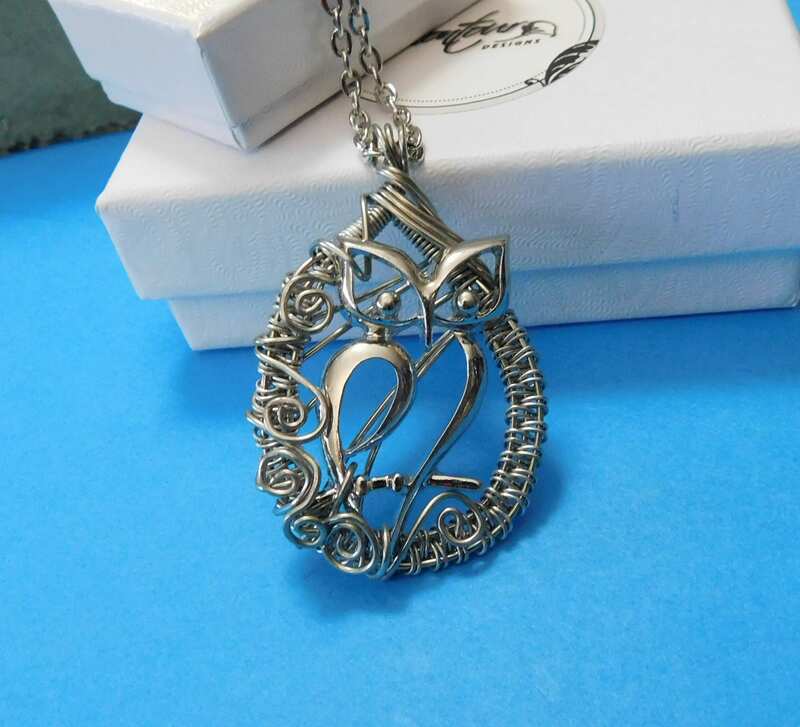 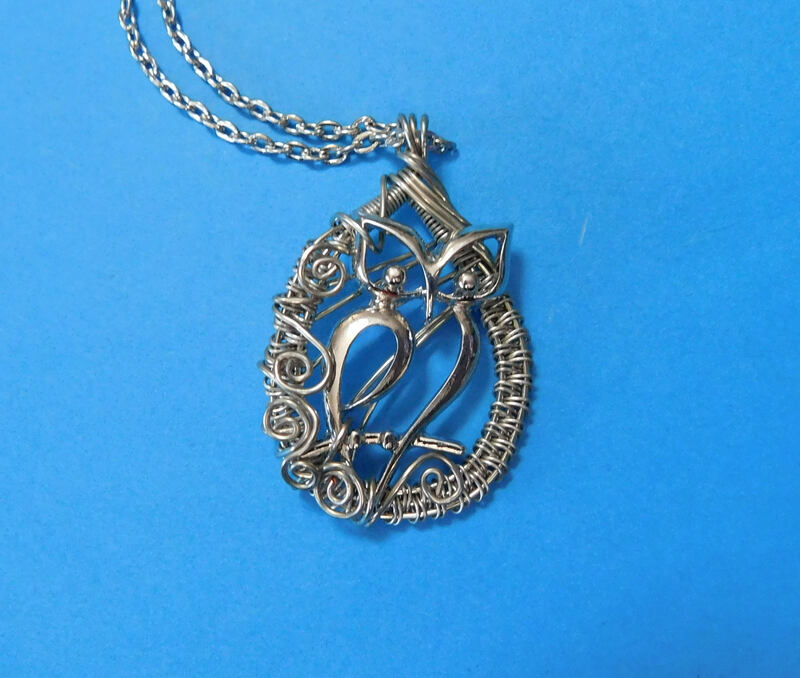 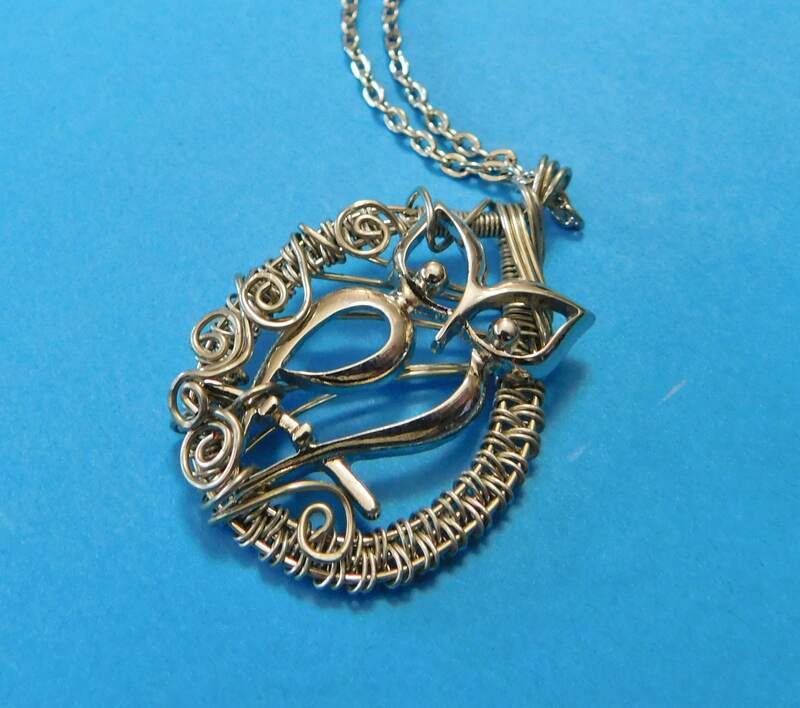 Matte metal wire is artistically hand woven to frame a silver metal stylized owl. 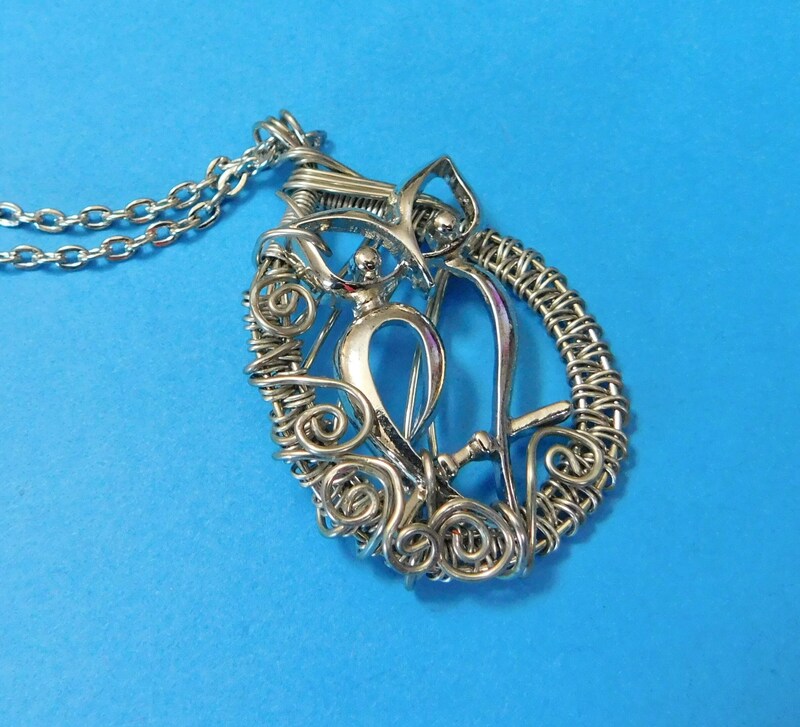 This artisan crafted pendant is created using only four individual strands of wire, pliers, and patience. 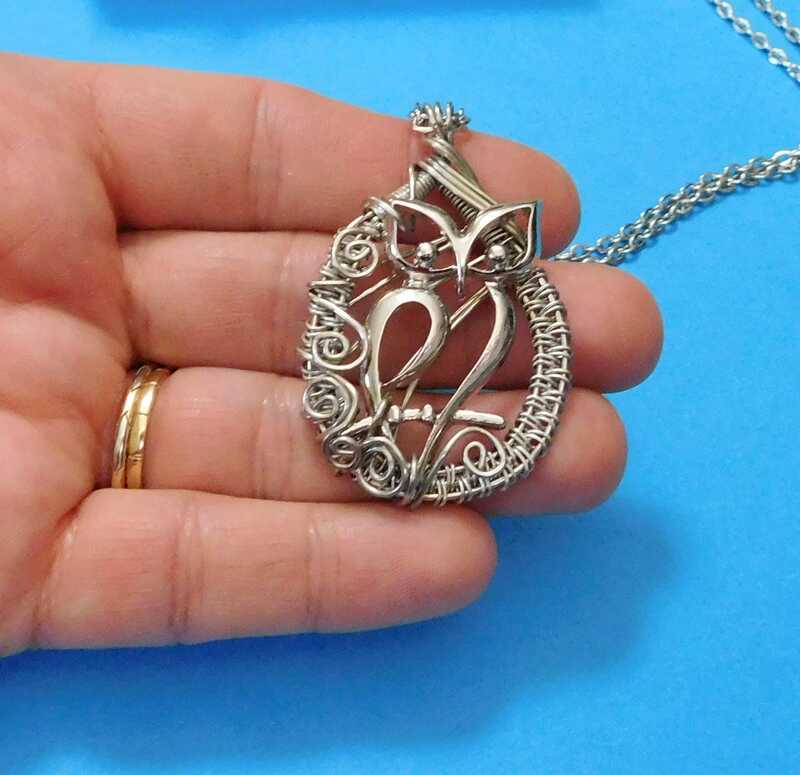 The pendant measures 1 1/2 by 1 inch and comes with a FREE coordinating chain with lobster claw clasp, measured to your preferred length.